Hieroglyphs were used for almost everything in Ancient Egypt. They were sometimes used for recording files and documents on a daily-basis. They were also used for ceremonies for the deceased.Hieroglyphs were also a major issue when it came to the Egyptians beliefs and ways of communication.Never-the-less hieroglyphs were important to the Ancient Egyptian Society. 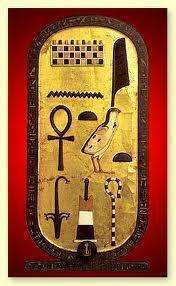 Hieroglyphs were used in so many smaller forms rather than the big ones to. Some of those would be name plates, better known as cartouche. These name plates would often be used to record the names of Pharaohs.